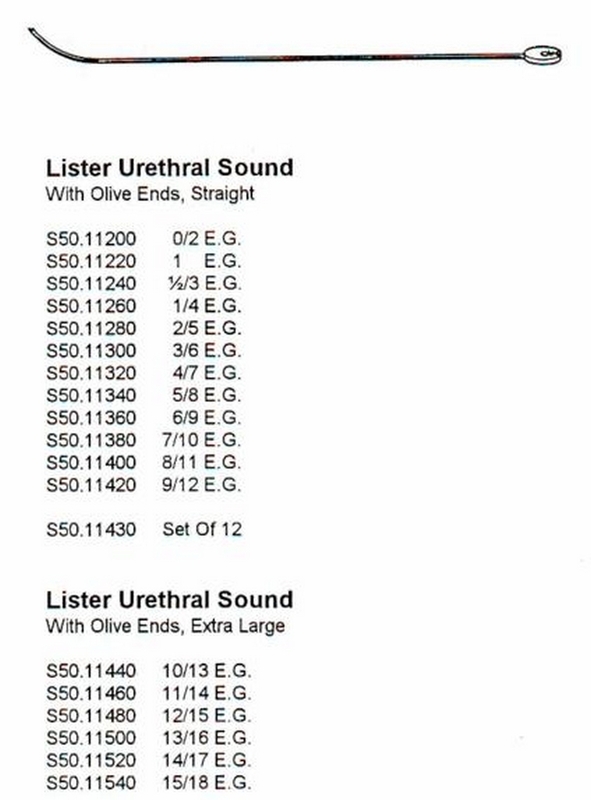 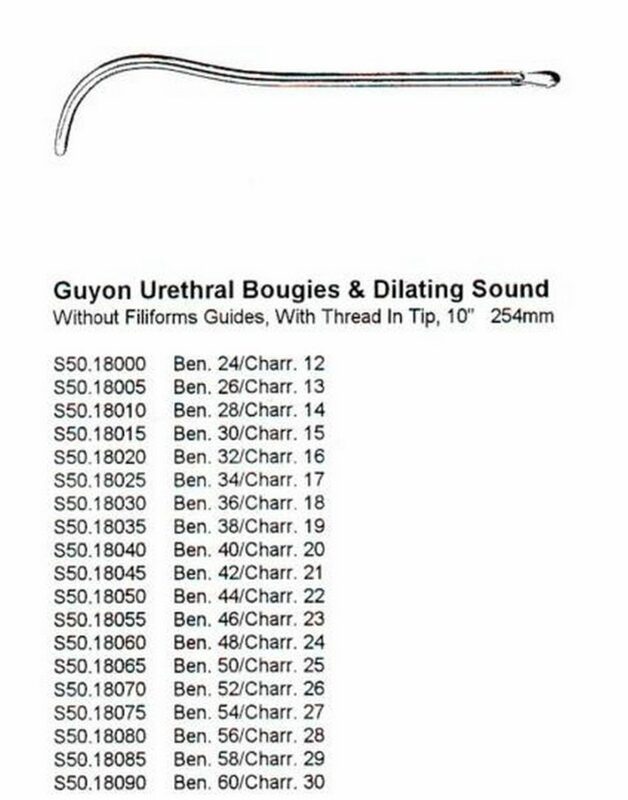 LISTER URETHRAL SOUND With OLIVE ENDS EXTRA LARGE 10/13 E.G. 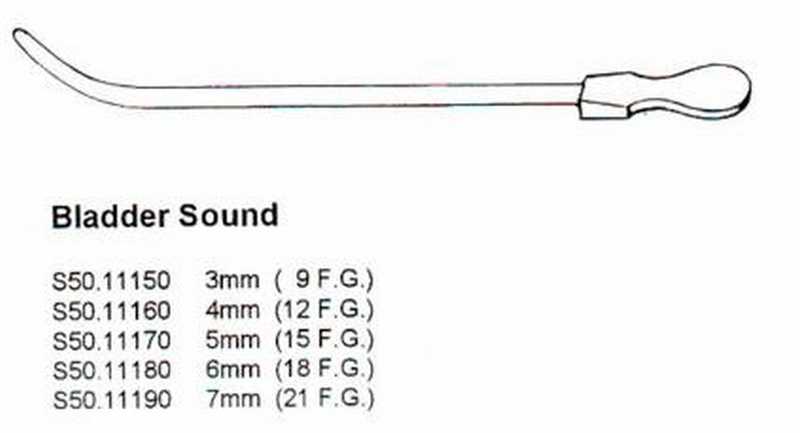 LISTER URETHRAL SOUND With OLIVE ENDS STR 5/8 E.G. LISTER URETHRAL SOUND With OLIVE ENDS STR 1/4 E.G.